Whether you're roasting it, slow-cooking it, or stuffing it into tacos, you can't go wrong with this affordable fan-favorite cut of pork. From savory posole to meaty and majestic nachos, here are 23 reasons to pick up a pork shoulder for dinner this week. Adobada is a general term that refers to meat (often pork) that is marinated in a very thick, flavorful, chile-based mixture. When cooked in a hot pan—note, this is key, your pan needs to be hot— the meat will develop a delightfully charred, crisp exterior while maintaining a succulent interior. 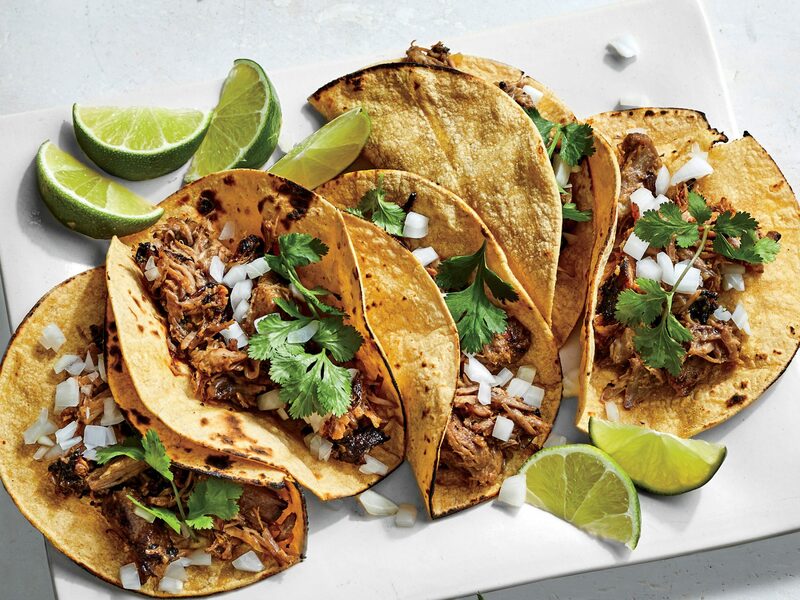 This flavor-packed pork recipe is an amazing start for tacos; simply spoon the meat into warm corn tortillas and serve with minced onion, cilantro, and lime juice. Utilized in professional kitchens for years, sous vide is a largely hands-off cooking method, based in incredibly precise temperature control, that many home cooks are beginning to embrace for seamless, simple meal prep. After the initial investment in obtaining the necessary equipment, sous vide provides a no-fuss, foolproof route to incredible flavor and consistency. Posole is a traditional Mexican soup, which boasts exuberant flavors of hominy, chiles, pork shoulder, and corn tortillas. Top your bowl with cilantro and thinly sliced radish to make it a year-round favorite! The pork is especially flavorful if you rub on the spices well ahead of time and let the roast stand in the refrigerator overnight. Copeland uses Arrowood smoked lager for this recipe (it’s local for her), but you can use any smoked beer; if you can’t find one, try a nut ale, a porter, or just 1 1/2 cups chicken stock. Though the oven method here produces tastier results, you can also make the pork in a slow cooker; brown the meat on the stovetop first, and cook with the beer on LOW for 6 to 8 hours. Maximize the space in your hot oven by roasting several sweet potatoes at once. You could also use the same method to roast beets or a head of garlic. The foil traps in the steam for moist, tender sweet potato flesh. Refrigerate the remaining foil-wrapped spuds for up to one week. 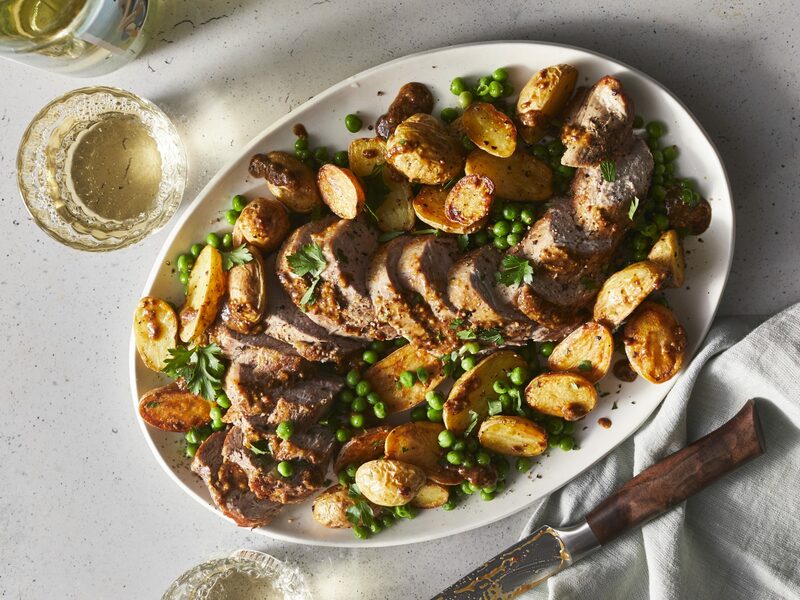 To turn this popular side into a meal, we stuff the potatoes with saucy barbeque pork tenderloin, a “hacked” version of an hours-long barbeque pork shoulder. You could sub the pork for chicken, or go vegetarian with a baked bean filling and a sprinkle of shredded cheddar cheese. Although these pork and black bean nachos require a bit more attention than your basic platter of loaded nachos, they’re well worth the effort. These are the nachos to make when you really wanna go next-level and impress a group. With the succulent pork, Swiss cheese and mustard sauce, and bread-and-butter pickles, this crowd-pleasing play on a Cuban sandwich packs a powerful load of flavor. Little bits of crisped pork belly offer chewy bites in the bowl, but easier-to-find ground pork is delicious, too. If you happen to have some leftover cooked pork shoulder, you can toss that in the soup as well. Don't be intimidated by the size of the pork roast that you're working with; your slow cooker is going to do pretty much all of the work for you. Wake up in the morning, take a few minutes to brown the pork, and then set it and forget it--you'll be on your way to something exceptional. Settle in tonight for a cozy, comforting dinner of Smothered Vinegar Pork Shoulder with Apples and Kale. The pork is wonderfully tender and the kale-apple mixture provides the perfect complement to this the meal. Ask your butcher: While a holiday ham traditionally consists of a cured, brined, or smoked cut of pork from the hind leg, we're taking liberties with the word "ham" and choosing the best cut for this job: the shoulder. Order a skin-on fresh picnic ham, aka the picnic cut, a forgiving, economical joint that will give you the juiciest results. This is a riff on the Korean rice dish bibimbap, in which various toppings are arranged over a bed of rice. Here, Southern Barbecue bowl must-haves such as pinto beans, charred corn, and roasted pork shoulder top brown rice. Start by slow-cooking pork shoulder in an aromatic bath of pineapple, beer (try a floral, spiced white ale like Hoegaarden or Blue Moon), and canned chipotles in adobo. Then shred the meat and set out a taco bar full of fresh flavors, bright colors, and crunchy textures. You can't go wrong here. We like bowls of crumbled cheeses, sliced radishes, chopped onions, avocado, shredded cabbage, and plenty of fresh cilantro. This will become your new go-to pork shoulder slow-cooker recipe, thanks to the sweet and tangy soy-and-vinegar flavor profile. Pull the pork, and serve it Southern-style over grits or sandwiched between buns, and ladle on plenty of sauce. Pork shoulder roast needs long, slow heat to get tender, and this one, topped with a rich apple gravy, is especially succulent. The dish is delicious with cheesy mashed potatoes and a big green salad. You don't have to presoak the beans for this hearty dinner--they go straight into the cooker and end up perfectly tender 8 hours later. Since you blend up a whole orange, peel and all, you should look for Florida oranges, which have thinner skins than the thick-peeled fruits from California. 5 to 7 hours, plus at least 1 day to brine. Grilling this roast over charcoal is a little complicated, but the results are worth it-the crust is crisper and the meat is melt-in-your-mouth tender. You can do the pork on a gas grill instead, though: Cook it at 275° with all burners turned on except the one beneath the pork; set a drip pan on the turned-off burner. The recipe is from Dana Ewart and Cameron Smith, chefs and caterers in Canada's Okanagan Valley, in British Columbia. They serve it as part of their open-air feasts at God's Mountain Estate, a vineyard and B&B near Penticton.